Superman performed his job in cape, Iron Man wore leaden lederhosen and soldiers do their duty in uniform! Even if you feel that your job is not really heroic, you still probably have plans to reshape the company in your own reflection. Before you reach that stage, however, you need to remodel the manner in which your cohorts at the workplace see you and for that you would need to dress smartly. What Patterns to Go for? Sporting a solid suit is the safest bet any man can play. But, sometimes it could look solidly boring too and I am sure you do not want to look monotonous on all days of the month. Surprise and impress people in your office by experimenting with patterns, but be watchful of the fact that you don’t go overboard. Keep your styling restrained! For instance, you can go with the ever classic and subtle glen plaid or do what most of the fashion stylists suggest – invest in a pinstripe with very little and classy color to it. Style to Choose: Single or Double Breasted? 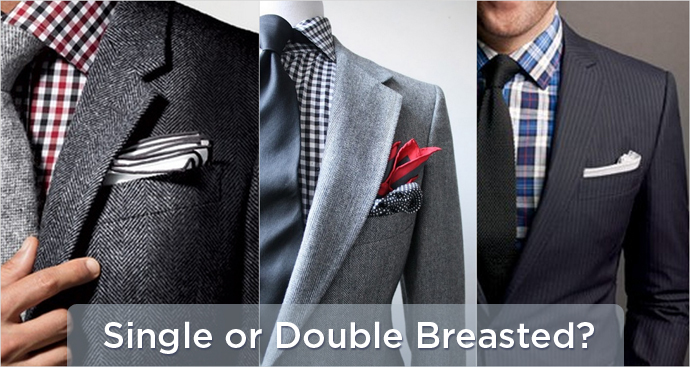 Though double breasted suits have been a part of every major suiting collection, do not follow the trend blindly. Remember! Your style is defined by what suits your body, not what looks good on everybody else. Unless you have a perfect built, for which I should congratulate you first, you would not want looking bulkier than what you are in a double-breasted suit. All the extra fabric crisscrossing you belly would certainly not be a pleasing sight for the onlookers to watch! How is the Built of the Suit? If you haven’t tried to figure it out that what gives your coat that crisp yet flexible moment then allow me to edify you about the same. There is a piece of canvas between the Bamberg lining of your suit and its outer fabric. It might be fused to the outer fabric or it would be stitched, latter being a preferred option. However to make it a bit affordable and durable option, you can look for a semi-stitched canvas which is sewed at the parts where the pressure would be infused while movement and there is fusing in the parts where there would be less garment movement. This way, you will have more expressions to your attire. 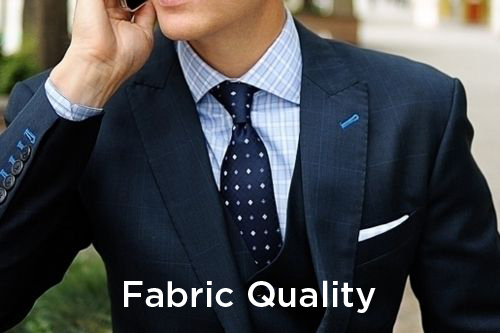 How to Finalize Fabric Quality? Most of the people out there have a perception that suits are really uncomfortable to be worn for men. Be it silk, wool or linen – higher the quality of the material use, higher would be the price. Trust me! Once you are in corporate world, you are going to wear suits more than your casuals so quality would matter a lot in that case, because unlike earlier when you would be wearing it once in blue moon for few hours, the comfort level of your outfit is going to make a difference. Be acquainted with the various qualities of fabrics; don’t let any salesperson fool you! What Should Go With the Suit? When you buy a suit, the salesman would always ask you if you would want to check out a shirt or tie to go with it too. You instant reaction, most of the times would be a Yes. Let me tell you something, if you are still sticking to the age old option of solid shirts then it’s time to restructure your wardrobe. Strips, patterns and checks – they are all ‘in’! In fact, most of the fashion enthusiasts feel that patterns look more refined and neat when worn. When you have so many choices then why not to try out new stuff? All you need to do is remember the thumb rule: Patterned shirt, solid tie and vice-versa. Even if you have not entered the corporate world yet, you should own a suit. It comes handy at lots of occasions. Being a boy or a man, your wardrobe is super incomplete without a suit hanging there and if you think that you will rent one when required – Well, rented suits would not look ‘super’ on you. They fit, but ‘sort of’ and when you are going out there wearing a suit, you won’t want to look just about average! Moz is an innovative Content Writer who has years of experience in content writing and love to write about latest fashion trends. He also works as a freelance content writer for Jodhpur Tailors - a stop solution for Mens Tailored Suits. In his spare time, Moz loves to try hands on cooking and experimenting on new looks.